Sincerity is the private key - this is what allows someone to unlock the message of the Quran. they will say, "What did GOD mean by this allegory?" GOD thus sends astray whomever He wills, and guides whomever He wills. None knows the soldiers of your Lord except He. This is a reminder for the people. Absolutely, (I swear) by the moon. And the night as it passes. And the morning as it shines. This is one of the great miracles. A warning to the human race. In order to access the Quran we need to be sincere. There are two things that can happen when someone who is not sincere receives the Quran. [2:3] who believe in the unseen, observe the Contact Prayers (Salat),* and from our** provisions to them, they give to charity. [2:4] And they believe in what was revealed to you, and in what was revealed before you,* and with regard to the Hereafter, they are absolutely certain. [2:5] These are guided by their Lord; these are the winners. [2:6] As for those who disbelieve, it is the same for them; whether you warn them, or not warn them, they cannot believe. [2:7] GOD seals their minds and their hearing, and their eyes are veiled. They have incurred severe retribution. [2:8] Then there are those who say, "We believe in GOD and the Last Day," while they are not believers. [2:9] In trying to deceive GOD and those who believe, they only deceive themselves without perceiving. [2:10] In their minds there is a disease. Consequently, GOD augments their disease. They have incurred a painful retribution for their lying. [2:11] When they are told, "Do not commit evil," they say, "But we are righteous!" [2:12] In fact, they are evildoers, but they do not perceive. [2:13] When they are told, "Believe like the people who believed," they say, "Shall we believe like the fools who believed?" In fact, it is they who are fools, but they do not know. [2:14] When they meet the believers, they say, "We believe," but when alone with their devils, they say, "We are with you; we were only mocking." [2:15] GOD mocks them, and leads them on in their transgressions, blundering. [2:16] It is they who bought the straying, at the expense of guidance. Such trade never prospers, nor do they receive any guidance. [2:17] Their example is like those who start a fire, then, as it begins to shed light around them, GOD takes away their light, leaving them in darkness, unable to see. [2:18] Deaf, dumb, and blind; they fail to return. [15:90] We will deal with the dividers. [15:91] They accept the Quran only partially. Can’t take the interpretation of one verse when it contradicts the other. [45:23] Have you noted the one whose god is his ego? Consequently, GOD sends him astray, despite his knowledge, seals his hearing and his mind, and places a veil on his eyes. Who then can guide him, after such a decision by GOD? Would you not take heed? [3:7] He sent down to you this scripture, containing straightforward verses—which constitute the essence of the scripture—as well as multiple-meaning or allegorical verses. Those who harbor doubts in their hearts will pursue the multiple-meaning verses to create confusion, and to extricate a certain meaning. None knows the true meaning thereof except GOD and those well founded in knowledge. They say, "We believe in this—all of it comes from our Lord." Only those who possess intelligence will take heed. [83:7] Indeed, the book of the wicked is in Sijjeen. [83:8] Do you know what Sijjeen is? [83:9] A numerically structured book. [83:18] Indeed, the book of the righteous will be in 'Elleyyeen. [83:19] Do you know what 'Elleyyeen is? [83:20] A numerically structured book. [27:20] He inspected the birds, and noted: "Why do I not see the hoopoe? Why is he missing? [27:21] "I will punish him severely or sacrifice him, unless he gives me a good excuse." [27:22] He did not wait for long. (The hoopoe) said, "I have news that you do not have. I brought to you from Sheba, some important information. [27:23] "I found a woman ruling them, who is blessed with everything, and possesses a tremendous palace. [27:24] "I found her and her people prostrating before the sun, instead of GOD. The devil has adorned their works in their eyes, and has repulsed them from the path; consequently, they are not guided." [27:25] They should have been prostrating before GOD, the One who manifests all the mysteries in the heavens and the earth, and the One who knows everything you conceal and everything you declare. [27:26] GOD: there is no other god beside Him; the Lord with the great dominion. [27:27] (Solomon) said, "We will see if you told the truth, or if you are a liar. [27:28] "Take this letter from me, give it to them, then watch for their response." [27:29] She said, "O my advisers, I have received an honorable letter. 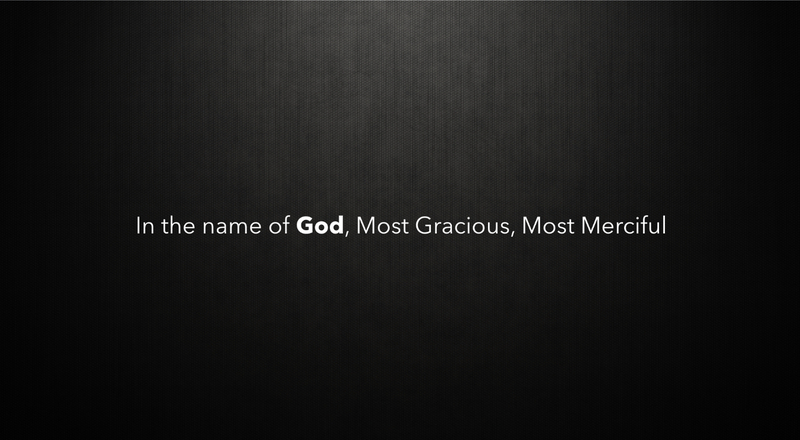 [27:30] "It is from Solomon, and it is, 'In the name of GOD, Most Gracious, Most Merciful.' [27:31] "Proclaiming: 'Do not be arrogant; come to me as submitters.'" [27:32] She said, "O my advisers, counsel me in this matter. I am not deciding anything until you advise me." [27:33] They said, "We possess the power, we possess the fighting skills, and the ultimate command is in your hand. You decide what to do." [27:34] She said, "The kings corrupt any land they invade, and subjugate its dignified people. This is what they usually do. [27:35] "I am sending a gift to them; let us see what the messengers come back with." [27:36] When the hoopoe returned to Solomon (he told him the news), and he responded (to Sheba's people): "Are you giving me money? What GOD has given me is far better than what He has given you. You are the ones to rejoice in such gifts." [27:37] (To the hoopoe, he said,) "Go back to them (and let them know that) we will come to them with forces they cannot imagine. We will evict them, humiliated and debased." [27:38] He said, "O you elders, which of you can bring me her mansion, before they arrive here as submitters?" [27:39] One afrit from the jinns said, "I can bring it to you before you stand up. I am powerful enough to do this." [27:40] The one who possessed knowledge from the book said, "I can bring it to you in the blink of your eye." When he saw it settled in front of him, he said, "This is a blessing from my Lord, whereby He tests me, to show whether I am appreciative or unappreciative. Whoever is appreciative is appreciative for his own good, and if one turns unappreciative, then my Lord is in no need for him, Most Honorable." [27:41] He said, "Remodel her mansion for her. Let us see if she will be guided, or continue with the misguided." [27:42] When she arrived, she was asked, "Does your mansion look like this?" She said, "It seems that this is it." (Solomon said,) "We knew beforehand what she was going to do, and we were already submitters." [27:43] She had been diverted by worshiping idols instead of GOD; she belonged to disbelieving people. [27:44] She was told, "Go inside the palace." When she saw its interior, she thought it was a pool of water, and she (pulled up her dress,) exposing her legs. He said, "This interior is now paved with crystal." She said, "My Lord, I have wronged my soul. I now submit with Solomon to GOD, Lord of the universe." Solomon – Judgment to cut the baby in half.